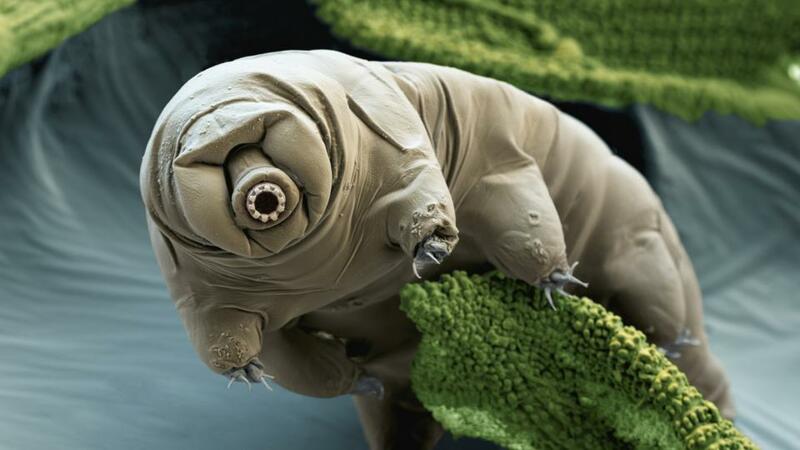 This is a real animal also known as a water bear or moss piglet. They live in water and have been sighted from mountain tops to the deep sea, from tropical rain forests to the Antarctic. They’d make a handy pet because they can live without food for ten years or more and if they almost dry out (as happens when they are neglected) they just fill up with water and off they go to eat and make new water bear babies, no problem. Well not much of a problem – they don’t really thrive being neglected but they have been known to survive. Now they are pretty tiny – only half a millimetre long when fully grown. They’re short and plump with four pairs of legs, each with four to eight claws. Plus Tardigrades have a complex brain. If you want to attract attention to your web blog – then show an impossible picture. Nothing attracts people more than something truly remarkable. It makes life fun too. You could share your amazing picture on Facebook – and lead people to see the other great things you are doing in your web business. A good picture tells a thousand words. A full description of this little marvel of nature can be found on everyone’s favourite encyclopaedia – Wikipedia. Please remember to use, and contribute to this amazing phenomenon to get the facts on virtually anything known to man. Wikipedia is almost as remarkable as the Tardigrade. I said “almost”.